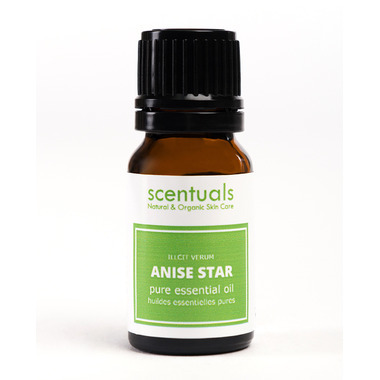 Anise Star has a distinctive aroma similar to black licorice. Its invigorating scent can dramatically enhance a dull blend. Nasal Congestion: Mix a couple drops in a carrier oil, rub under nose and take deep breaths to clear airways. Muscle Tension: Add a few drops in a cool bath to relax and soothe tense muscles. Ingredients: Anise Essential Oil, Extracted by steam distillation of the dried anise fruit.